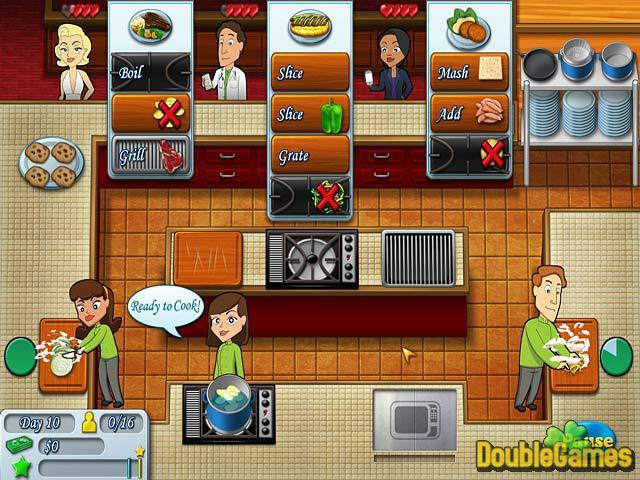 Kitchen Brigade is an addictive time management game which offers you to run your own restaurant. You will have 66 days to make sure that your place works as efficiently as it can. Are you ready to take this challenge? Then start playing Kitchen Brigade right now! You will have a team of the best chefs in the world. Manage them right, serve the tastiest food and invest the revenue in buying upgrades for the kitchen, adding items on the menu and hiring new stuff. 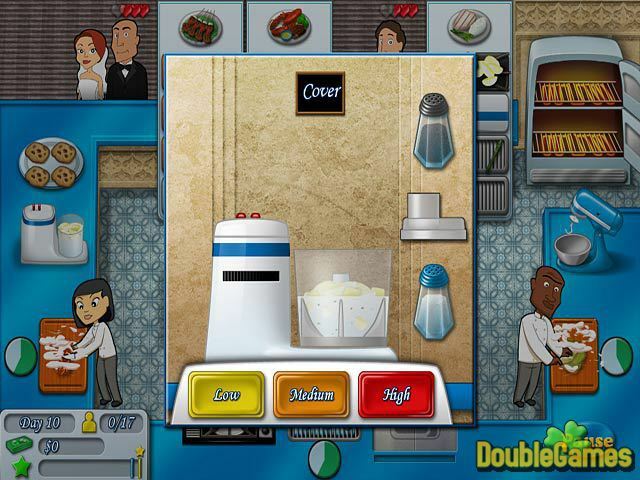 Title - Kitchen Brigade Game Download for PC and Mac Description - Look at Kitchen Brigade, a Time Management game built up by Fugazo. 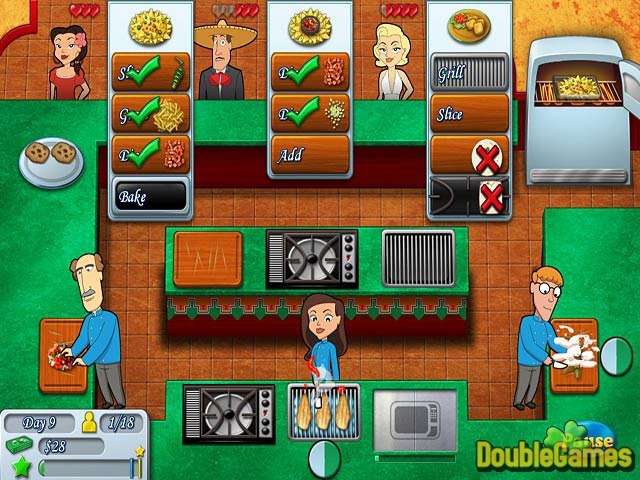 Run your own restaurant! As usual, your hero gets to win one million dollars and decides to open his own restaurant. In a month the restaurant was ready to open and the money was gone. Now you have to do your best to keep the business running, cause if it doesn’t bring some revenue it will be closed. Luckily, you are invited to take part in the contest of chefs, and if you win it, you’ll get another million. The game offers you more then 50 exciting levels. On each level you have to earn a certain amount of money to complete it. You can hire additional employees to help you serve your guests. Usually they can perform only one action, so you will have to make out some kind of cooking strategy to keep the right timing. If Kitchen Brigade has any faults, it’s that we’ve seen it all before. However, it manages to put them together into something genuinely fresh and fun. If you’re into time management, then step into the kitchen and get cooking!